There are hundreds of dangerous drugs in the world, hiding throughout each corner of our planet, seeping into new areas and creating new addicts every day. You can probably name at least ten deadly drugs right now. Have you heard of any of the ones below? You might want to familiarize yourself with their irreversible effects before you ever think about trying them. Also known as DiPT (abbreviated at 5-MEO-DIPT scientifically), Foxy Methoxy is a hallucinogenic drug that is known for its auditory psychoactive effects that not only causes users to see unreal things, but also hear, smell, feel, and even taste things that only dwelling within the imagination. There is a lack of studies pertaining to this particular drug, and it is virtually impossible for users to know the source and purity of any sample, both of which can lead to potentially fatal consequences. It is a part of the category Tryptamines, which are drugs that can be found naturally in the body or in a synthetic form. Foxy Methoxy is a synthetic substance that has been classified as a Schedule 1 drug, meaning it has no medical benefits and is illegal to possess in all circumstances. The drug can potentially continue to affect your hearing even after it wears off, by leaving users unable to differentiate between sounds in proximity and background noise. Also known as Qat, Quaad, or Arabian Tea, many believe this drug influences terrorism. Khat is very common throughout the Middle East, where in some places it is as popular as coffee. Khat is either chewed or consumed in a liquid form. Many people ingest it in the morning before work or a test to give a boost of energy and focus. Others believe it is dangerous because it gives users a sense of invincibility, which is why it is used by some terrorists before going out on a mission. 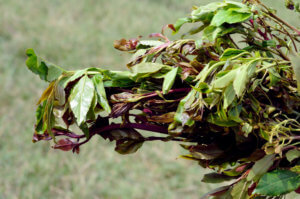 Terrorist groups also profit from the manufacture, trafficking, and sale of Khat. For example, the drug is one of the primary sources of funding for the infamous al-Shabaab terrorist group of Somalia. Dragonfly, also known as Bromo-DragonFLY or B-DFLY is a chemical within the “2C” drug family that manipulates serotonin to produce hallucinogenic feelings and visuals. Dragonfly earned it’s street name because it’s chemical structure superficially resembles a dragonfly’s wing. The difference between Dragonfly and other hallucinogenic drugs is its potency and the duration which it lasts. Extremely potent compared to most hallucinogens, even a small dose can put you at an altered state of mind for several days. Seizures, confusion, heart problems, and death have occurred. Dragonfly has earned a reputation in the drug community for being especially dangerous. Even scarier, dangerous drugs like Dragonfly can be illegally purchased online at the click of a button, meaning anyone, anywhere could be impacted. A more recently introduced drug, Benzo Fury is legally sold due to the dishonest label (similar to the drug K2’s label) “not for human consumption,” allowing anyone to abuse the drug without the risk of criminal punishment. Similar to the drug MDMA, Benzo Fury provides hallucinogenic affects, but it is much riskier due to its higher potency. As a hallucinogen and a stimulant, Benzo Fury can last up to 14 hours. Incidents of overdose of the drug have been reported, resulting in self-harm and hospitalization. The number of deaths from the drug between 2011 and 2012 caused the UK to ban the drug in 2014. When mixed with other drugs such as alcohol, Foxy Methoxy. 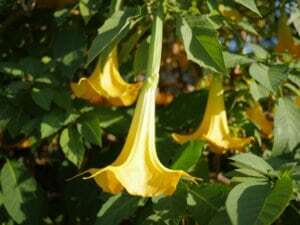 Known for being “the perfect substance for an easy crime,” Scopolamine, also known as Devil’s Breath or Scopolamine Datura, is a powder derived from the Borrachero tree native to Colombia, Ecuador, and Venezuela. There is substantial debate over how Scopolomine actually works, and it is hard to separate fact from legend. Scopolamine allegedly causes the complete elimination of free will, leaving victims conscious but with their actions controlled by a predator. Just like a child, victims allegedly obey whoever gives them a command. Perpetrators are completely in control of their victim’s mind and actions, without leaving trace of memory. Some scientists dispute this is possible, claiming that Scopolamine actually acts as a tranquilizer. All agree that too much of the drug can be fatal, and in some cases immediately so. Some use the drug recreationally by grinding the roots and flowers of the tree and liquefying them into a tea that causes hallucinations. In any case, there is absolutely no medical benefit to this plant. Also known as Krok, Krokodil is often referred to as the Poor Man’s Heroin because its cheap doses supposedly impact users in similar ways to Heroin. Krokodil is most commonly found in Russia and other former Soviet Republics, but it is also beginning to appear around the world. The drug is named after crocodiles because the leathery, ripped up skin at the injection site resembles the skin of a large reptile. Hydrochloric acid, paint thinner, red phosphorous, and other deadly chemicals come together to rot your skin from the inside out. Krokodil is infamous for causing chunks of flesh to fall off around injection sites and eroding organs within the body. Krokodil is almost certainly the most disfiguring commonly used drug in the world, and it might be the deadliest. There countless dangerous drugs on the black market, and more are being developed all the time. Newer and rarer drugs are often the most dangerous, as they are usually the least well-studied and their side effects are the least well-known. Unfortunately, many who are curious and determined to feel something different only end up with leaving everything they’ve ever loved behind forever. Jasmine is the Digital and Social Content Specialist for Recovery Worldwide. She has a deep passion for writing, especially on topics that educate the audience and encourage action towards a healthy life. She hopes her words inspire those in need of help to take that first step in finding the best treatment for their addiction so they can live the life they deserve.